Kroměříž is a medium-sized town on the Morava river in the Zlín Region. The second half of the town’s name may seem a bit of a tongue-twister to English speakers. It is not as difficult as it may seem, because there are no consonant clusters there. The pronounciation is more or less: “kromnyezheesh“. 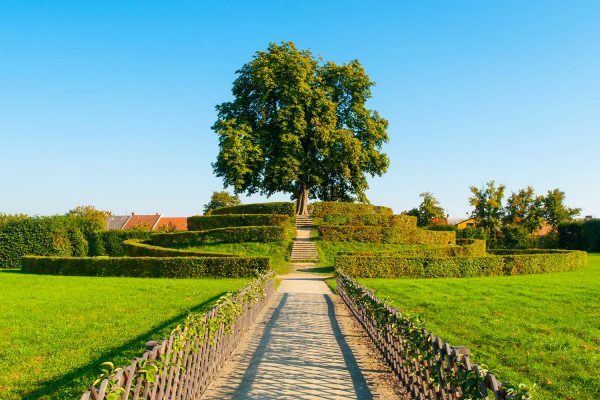 This charming Moravian town is famous for the castle and its gardens which are located there. 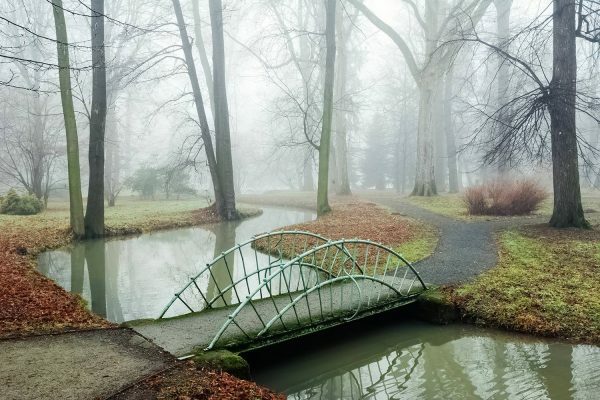 The Gardens and Castle at Kroměříž were inscribed on UNESCO’s World Heritage List in 1998, as the 7th site from Czechia. Due to the high concentration of historic landmarks, the town’s nickname is “the Athens of Hanakia” (Hanácké Athény). Hanakia (in Czech: Haná or Hanácko) is a region in central Moravia. There is a train station in Kroměříž, with direct connections to several places in Moravia. There are some direct trains from Brno, but not many. This is not a problem, because you can change the train in Kojetín. The journey from Brno via Kojetín to Kroměříž should take about 1 hour 30 minutes. Bus no. 770430 goes from Brno – ÚAN Zvonařka to Kroměříž and the journey time should be also slightly below 1 hour 30 minutes. Obviously, the main tourist attraction in the town is the UNESCO World Heritage Site, officially called “The Gardens and Castle at Kroměříž”. Kroměříž Castle is known in Czech as Zámek Kroměříž or Arcibiskupský zámek. The word zámek is usually translated into English as “chateau”. Kroměříž Castle certainly resembles a chateau, rather than a castle. UNESCO uses the word “castle”, but the official website uses the name “Archibishop’s Chateau”. This may seem a little confusing, but everyone knows what is meant. As a matter of fact, there had been a medieval castle on that site. The Gothic castle was converted into a Renaissance chateau in the 16th century. It was damaged during the Thirty Years’ War and reconstructed in the Baroque style, based on the design of two Italian architects: Filiberto Lucchese and Giovanni Pietro Tencalla. The castle, or chateau if you will, was the main residence of bishops and archibishops of Olomouc until 1949. Since then, it has been owned by the Czechoslovak and later Czech state. Visitors can admire the second most important collection of paintings in Czechia (after the National Gallery in Prague). The collection was started by bishop Karl II von Liechtenstein-Kastelkorn in the 17th century. Over 500 paintings are displayed in the chateau’s gallery. Among them are 85 originals from the 15th – 18th centuries. The chateau’s tower is 84 m (275.5 ft) tall. It can be climbed and is accessible to visitors during the regular opening times. It offers a great view of the town and the region. 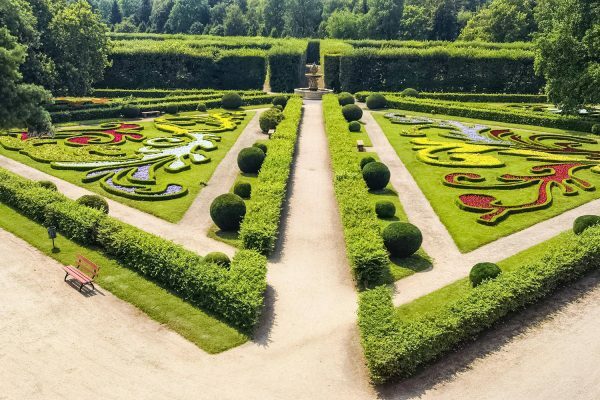 Next to the chateau, there are two gardens: the Chateau Garden (Podzámecká zahrada) and the Flower Garden (Květná zahrada). They are both part of the UNESCO World Heritage Site. 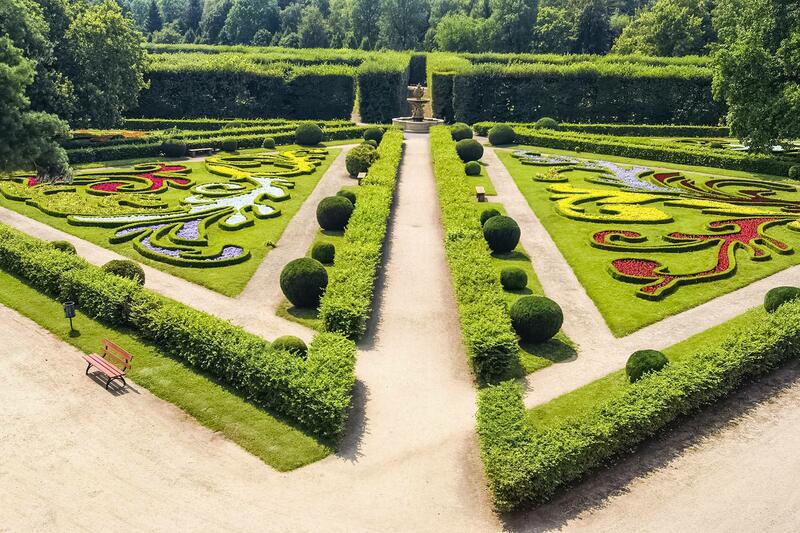 The Chateau Garden was created in the 16th century and restyled in the following centuries. It features a network of small ponds and canals and several picturesque bridges. There are also several architectural elements in the garden, most notably the Pompeian Colonnade. 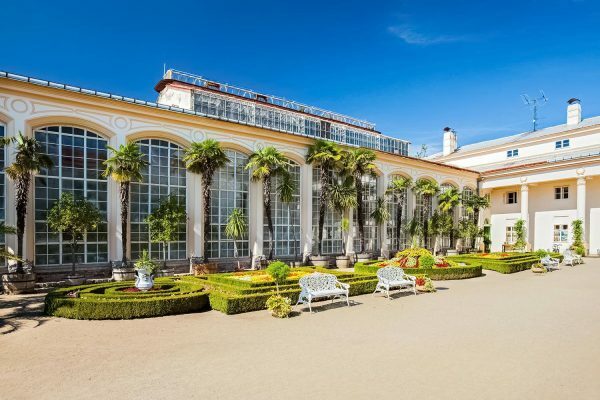 It was built in the Neoclassical style in 1846. Access to the garden is free of charge. The Flower Garden is located in the southwestern part of the town’s center. It is also known as the Pleasure Garden. 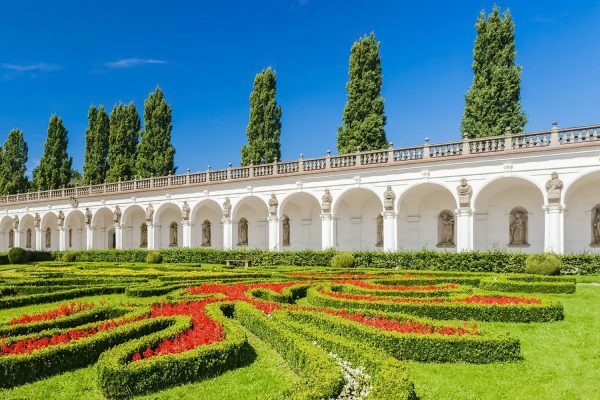 It was created in mid-17th century and it played a great role in the development of the design of Baroque gardens in Czechia and Central Europe. 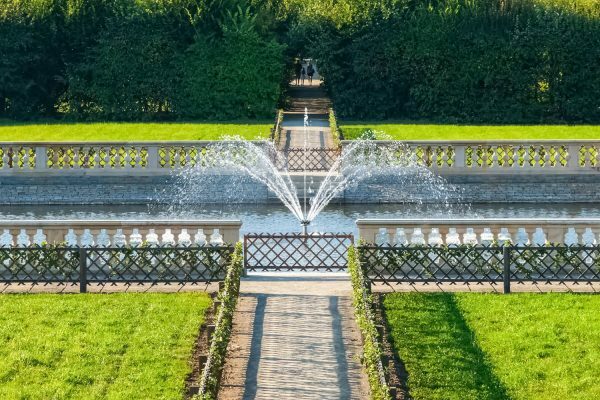 The layout of the garden is highly symmetrical and features beautiful clipped hedges and floral ornaments. 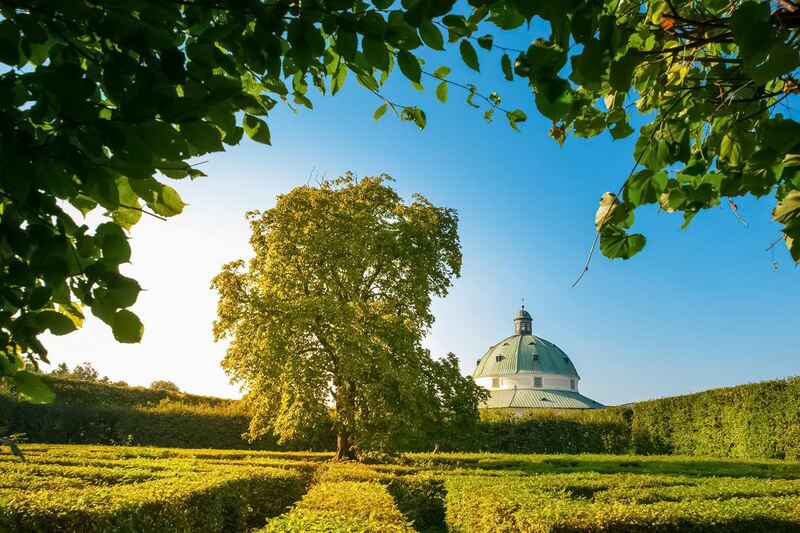 There is a Baroque rotunda in the center of the garden. Its interior is decorated with frescoes and it houses a Foucoult’s pendulum. Large Square (Velké náměstí) is the center of Kroměříž. It is a typical Central European town square with a town hall and picturesque townhouses. The square features also a Baroque Marian column from 1680 and a fountain from the mid-17th century. Hotel Purkmistr is a fantastic and affordable 4-star hotel in the very centre of Kroměříž, at Large Square. All attractions are nearby. Guests can enjoy a Finnish sauna and a Turkish bath. The hotel is housed in a beautiful building from the 16th century. The price level is very attractive and the rooms are in high demand, so booking in advance is recommended. Check the availability and book your room. Hotel U Zlatého kohouta is another very good accommodation option in the historic centre of the town. It is also located at the beautiful Large Square and some of the rooms offer great views. Wellness facilities include a sauna and a hot tub. This is a 4-star hotel, but the rates can be surprisingly attractive, for a hotel of its class in such a convenient location. Check the availability and book your room. Hotel Bouček is a very good and attractively priced 4-star hotel in the centre of the town. The rooms have desks and minibars. Some of them offer nice views of Archbishop's Palace. The hotel's restaurant serves Czech and international cuisine. All in all, very good value for money and excellent location. Check the availability and book your room.